Retirement planning begins with an awareness of 2 basic parts of the equation. The retirement age is based on when you were born and signifies when a person is able to retire. Through the scrapping of the default retirement age, you can now legally work past your retirement age. So, the question is whether you want to bow out of employment as soon as you are able or you think you will continue working in some capacity (perhaps with reduced hours)? In other words, are you going to need a retirement income to be fully in place or will you still have a regular salary coming in? The current state pension is £115.95 a week, with a new state pension of a maximum of £155.65 a week being introduced from 6 April 2016. The new pension rate will apply to those men born on or after 6 April 1951 and women born on or after 6 April 1953. The new state pension will be based on your national insurance record, and an individual will need 10 qualifying years to be eligible. You now have a timescale and a base income as a starting point for the rest of your plans. Auto-enrolment means you are also likely to have a work pension scheme to make use of. Is this going to be enough to give you the life you want? For many, trying to live solely off of the state pension and a work pension will represent a fall in monthly income compared to working. Another factor is any debts such as a mortgage and other obligations like energy bills that may eat further into your regular income. Any savings and investments you have will be an important counter-balance. You may now see a gap opening up between what you want and what you currently have. Retirement planning is about closing the gap between expectation and reality. We can help you get an idea of your financial situation. The retirement planning strategy you should adopt will depend on how close you are to retirement. Someone in their 50s, with retirement looming on the horizon, should generally be looking to minimise risk and thinking about their current lifestyle. Someone in their 20s, with a myriad of other financial concerns, may simply decide to try to remain as debt free as possible and begin saving. 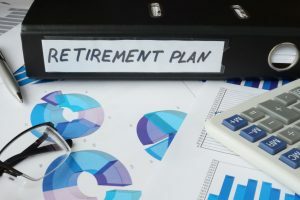 At any stage in your working life, the following could help contribute to putting you in a better position when it comes to your retirement. Since it is likely that your income will decrease anyway, the impact of any debt carried into retirement will have a more pronounced impact. An important first step is getting an accurate handle on how much you owe. You may have mortgage, credit card and other personal loans to factor into the equation. The interest rates on these debts are almost as important as the actual amount owed when planning on the best way reducing of them. Freeing yourself of debts takes some of the pressure off in other areas of retirement planning. Increasing the amount you regularly pay into either your work or private pension will increase the amount available to you when you retire. There is an annual allowance of £40,000 meaning you will be taxed if your savings for each year exceed this. You can, however, top up your allowance with any previously unused allowance from the previous 3 years. Individuals who earn £150,000 or more will see their annual allowance reduced by £1 for every £2 above £150,000 down to a minimum of £10,000 from 6 April 2016. If you do not have enough years of paying national insurance, it is possible to ‘buy’ additional years in order to qualify. The introduction of the pension freedoms in Budget 2014 were hailed as the most seismic reforms to pensions in decades. From April 2015, individuals were given the option of taking out their full pension pot in cash from the age of 55. This new option now sits alongside annuities and income drawdown plans as strategies for people to consider. You can take 25% of your pension pot tax-free, with the rest being charged at your marginal rate of tax. Contact us to talk about your pension options. It should be apparent that saving is an incredibly important part of the retirement planning process. While pension funds are tax-efficient ways to fund your retirement, there are other options for those looking to maximise their savings. Cash ISAs do not charge tax on the interest earned from savings, allowing savers in the basic rate to avoid a 20% charge and higher rate taxpayers to avoid income tax at 40%. The current annual limit for ISAs is £15,240. NS&I is government-backed and offers tax-efficient long-term savings funds. Some of the products pay interest that is taxable while others are tax free. Investing can be a way to get a bigger return than you would through the methods listed above, but investing carries a risk that you may not make a big return or lose your money. Investing is a complicated area and it is always wise to seek the advice of a professional before committing any of your money. The decisions you make today will affect the life you are able to live in retirement. Our expert team can help you define your goals and create a workable strategy to achieve them. Get in touch to talk about your goals today.